Great Britain, VC2 East Cornwall, Launceston, SX38, near railway station, most probably Launceston Railway Station, SX3284. "659" crossed out at top. "660" written next to it. 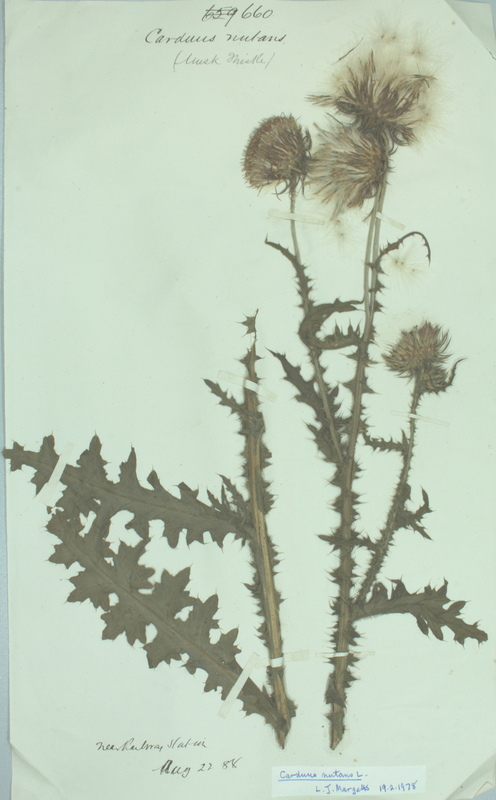 "( Musk Thistle)" written under original taxon. Documented by rudolfthered on 20th December 2007.